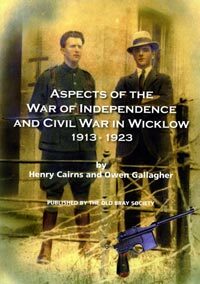 Wicklow was not one of the more prominent counties in the struggle for freedom between 1913 and 1923 but the republican men and women of the county played their part in some notable historic events and this book tells their story for the first time. It was a difficult county to organise for a variety of reasons. These included the patchwork nature of the county itself, which is divided by the mountains, the widely scattered population and the large loyalist element in the county. Despite these obstacles many Wicklow people became involved in the Irish Volunteers, Cumann na mBan and the other national organisations. This book is based mainly on the recollections of Wicklow Volunteers as recorded by the Bureau of Military History. Since the recorded recollections in that Bureau became available they have made possible a huge amount of research and writing on the local aspects of the struggle between 1913 and 1923 and this book is a prime example. It gives a real sense of the fight at local level. ‘Some British Intelligence Activities in the Brigade Area’ is a very interesting chapter. It tells of how British spies used a house near the Ballycorus lead mines as a base. The Wicklow IRA found out and attacked the house. Two British intelligence officers were killed and three wounded in the gunfight. Incredibly, the British later returned to use the same house as a base again. It was attacked by the IRA for a second time and two more British officers were killed. The main spy, Patrick Dunny of Inchicore, managed to escape on both occasions but was captured and executed by the IRA in May 1921. For those interested in such matters there are four pages of pictures and descriptions of weapons used by the IRA in the period, ranging from the outmoded Howth Mauser to the recently invented Thompson sub-machinegun. The last Volunteer mentioned in the narrative is Michael Neary of the Bray IRA. The book states that he was killed on Albert Road, Glenageary, by the Free State Army during the Civil War. However, there is more to tell. The story of Michael Neary was told in the republican weekly Éire of 25 August 1923, to which this writer has access thanks to a very kind recent donation to An Phoblacht of a superb collection of copies of Éire and other republican papers. Michael Neary was shot while lying on the ground after surrender by a Lieutenant Smith of the Free State Army. Neary had fought in the Tan War and was with the IRA in the battle of Blessington at the start of the Civil War. He was captured and jailed in the Curragh Camp, from which he escaped. Michael Neary was taken to Tubbercurry in Sligo for burial. The parish priest, Canon Gunning, refused to allow his body into the church, telling his family he was “a robber and a murderer”. Such was the fate of soldiers of the Irish Republic in 1922 and 1923.